Today, organizations are facing a variety of IT challenges. Rather than being a source of worry, however, think of these challenges as opportunities to transform your strategic initiatives, reduce expenses, and better serve your customers. Here are the top IT challenges facing organizations today, and how the cloud can help. Many companies have the difficult challenge of navigating tight budgets while meeting the high expectations of customers. As the economic landscape evolves, the expectations of your customers will increase, whether you’re a large organization serving millions, or a smaller company serving a specific need for a small group of customers. Your customers expect your organization to be readily accessible. They want to be able to reach you no matter what time it is, where they are, or what device they’re using. Can your organization stay on budget while meeting those requirements? By streamlining these processes into a single location, you save your organization time and resources, and allow yourself to focus efforts on important strategic initiatives. 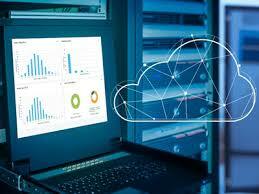 You can successfully meet the needs of your customers and reduce overall costs for your organization with the cloud. Upholding security is crucial for the success of any organization. Cyber attacks are evolving with increased sophistication; therefore, it is essential that your organization remains agile in its effort to protect sensitive information. Staying several steps ahead of hackers can be an extreme drain on resources, but the cloud offers industry-leading security measures to ensure that your information is kept safe without having to hire additional IT resources or invest in on-premise infrastructure. Operating on disparate systems is expensive, time-consuming, and creates roadblocks for communication and collaboration on important initiatives. Cloud-based Unified Communications streamlines collaboration and communication between teams and office locations. You pay only for what you use, decreasing the strain on the budget. Parallel Technologies understands the IT challenges facing today’s organizations. As experts in business communications, including cloud technology, we provide sophisticated cloud solutions to ensure that your organization delivers successful results.